Who doesn’t love a good piece of chocolate? 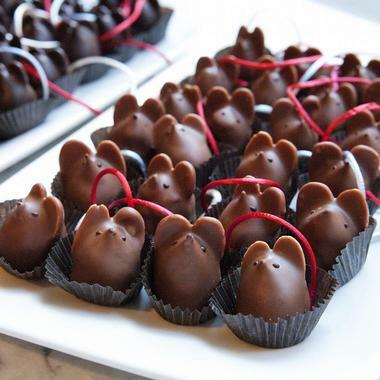 From milk chocolate to dark chocolate, plain chocolate bars to the most exquisite chocolate creations to have ever been tempered and put together, there’s something for different kinds of tastes in the Empire State. If you’re desperate to find the best chocolatey offerings that New York has to offer, stop by anyone of the places below to get your cocoa fix. Don’t forget, you’re on vacation! After all, who cares about a diet when you’re exploring a brand-new place or tasting a brand-new chocolate altogether? Sensational seasonal desserts and magnificent hand-crafted chocolates are the name of the game when it comes to Kreuther Handcrafted Chocolates. All of Kreuther’s chocolates are made using a classical French technique that gives all of the offerings a distinct luxury that isn’t easily found in your regular run-of-the-mill chocolatey treats. A visit to the shop will allow patrons and onlookers a glimpse into the fine work of this chocolatier. In addition to an incredible array of chocolates and equally terrific desserts, guests can also enjoy delicious coffee, freshly brewed tea, and other beverages to match and pair with their sweet offerings. There’s room for dessert after a meal, especially when that desert is chocolate and even more especially when you’re eating at The Chocolate Room. With absolutely delectable desserts that will blow your mind, The Chocolate Room serves up tremendous chocolate cakes, out of this world chocolate sorbets, luxurious fondues, and so many more scrumptious chocolatey treats. If you want to take these treats home with you, you’re more than welcome to as The Chocolate Room has tons of great goodies to give out to your loved ones as gifts. The Chocolate Room Granola, the TCR Caramel and Chocolate Gift Tray, and their There’s Always Room for Chocolate cookbook are all equally fantastic gift options for your chocolate-loving buddies. Haute chocolate has never been more accessible than it is today, especially with boutique chocolatiers like Vosges popping up in the city. While Vosges has a barrage of staple chocolates that are crowd pleasers and beloved by all those who patronize this incredible shop, those who are new to Vosges really ought to give their seasonal chocolates a try. For example, spring collections carry the aromas and flavors characteristic of the season, like orange blossom water, Vietnamese hibiscus, and mirabelle plums. Then there are unexpected flavor combinations like the coconut ash and banana chocolate bar. Whatever you decide to try, come to Vosges Haut-Chocolate with an open mind and a heart ready for an indulgent gastronomic experience. There’s definitely no shortage of variety when it comes to the chocolate at 2beans. Having gathered chocolates from all over the world, 2beans’ unique selection ranges from blocks of chocolate to fresh truffles and includes all the favorites to boot. 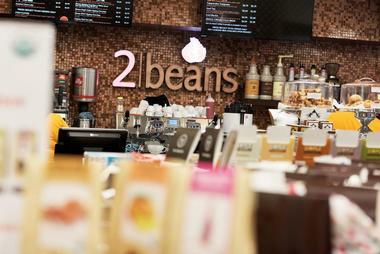 Whether you’re looking for dark chocolate, milk chocolate, white chocolate, stuffed chocolate, or even pralines and drinking chocolate, you’re bound to find something to your liking at 2beans’ flagship store in New York City. Just because they’re fans of the favorites doesn’t mean that 2beans doesn’t have anything new and exciting to offer, though! New chocolatiers create fresh flavors for all visitors to enjoy and discover such as chili pepper (if you like it hot! ), 100% dark chocolate, and more. With a bean-to-bar philosophy and a staunch commitment to organic and fair-trade chocolates, we’re sure that you’ll soon fall in love with 2beans. For 10 years and counting, Chocolat Moderne has wowed and impressed patrons with their vibrant and constantly evolving range of chocolate offerings. This chocolatier, one of the best that New York has to offer, uses only Valrhona chocolate, which is the finest that you can get in France. 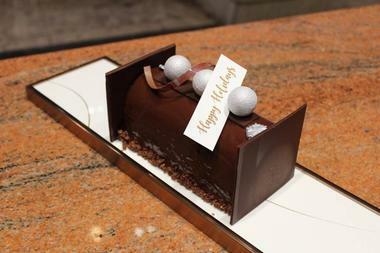 With a high cocoa content, Chocolate Moderne’s selection come with a unique covering of extra bitter dark chocolate. Ingredients of Chocolat Moderne’s selection include European-style butter, pistachios, hazelnuts, white chocolate, milk chocolate, fruit preserves, and more. 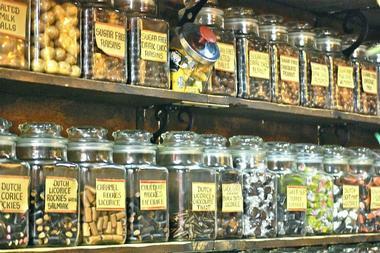 Truly, you’ll be hard pressed to find a chocolate that you don’t like at this beloved chocolate shop. 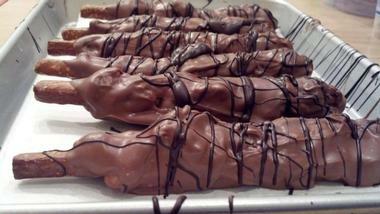 Looking for custom chocolatey creations to take to your next event or party? Chocolate Works is likely to have exactly what you’re looking for with their beautifully personalized custom treats. Enjoying life’s sweetest moments is what Chocolate Works is all about, after all, so they’ll go above and beyond to make your event a hit with their custom-made Belgian chocolate treats. 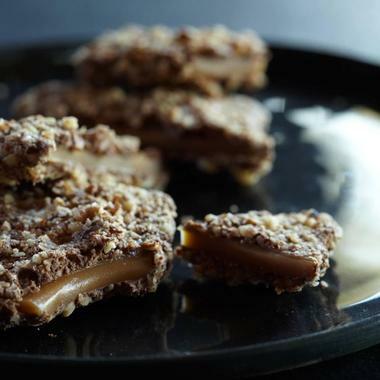 Chocolate Works uses family recipes and top-notch ingredients in putting all their offerings together, such as the almond bark gift box or their almond butter crunch. The shop’s truffles are also a work of art, with various fillings such as caramel, champagne, hazelnut, and even cupcake. If you’re not sure which flavor to get, you can opt for an assortment of truffles or try bestsellers like their signature truffles or peanut butter cups. 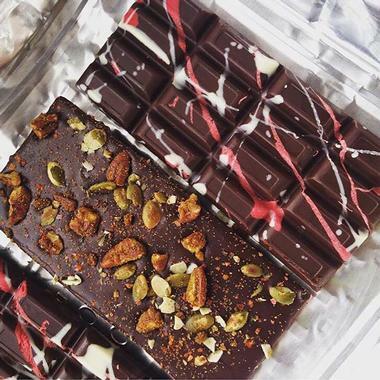 Completely dedicated to saving the world through silliness and the best artisanal chocolate they can make, Fine and Raw creates gorgeous raw chocolate bars for cacao purists across the great state of New York and beyond. 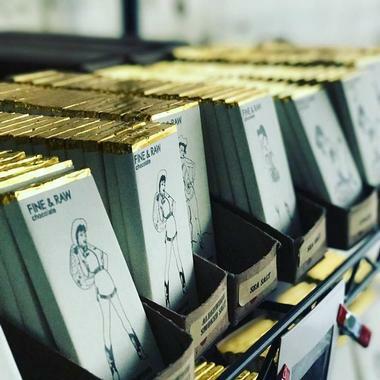 Fine and Raw started small by making chocolates for friends within the loft of Brooklyn-based artist Daniel Sklaar. Realizing that his chocolate creations were downright addictive, Daniel grew his chocolate obsession until Fine and Raw was born. Popular purchases at Fine and Raw include the Mom’s Bar, the Truffle Boxes, the Supernova Gift Tote, the Nirvana Gift Crate, the Almond + Chunky Bar as well as the Cacao + Coconut Chunky Chocolate Bar. With eight locations in New York City alone, it’s safe to say that Jacques Torres Chocolate is one of the most prominent and popular chocolatiers in the Empire State’s capital city. All creations at Jacque Torres Chocolate are made from scratch with authentic and premium ingredients. Their process of making the chocolate alone is exhaustive and painstaking. From sourcing only the best cacao beans possible to a chocolate making technique that is traditional and impressive, this chocolatier infuses their passion into every hand-crafted morsel of sweet goodness. Pick up your favorites or try a sweet assortment of Jacque’s personal favorites, like champagne truffles, assorted caramels, the Dark Chocolate Orange-a-peel and the chocolate chip cookies. 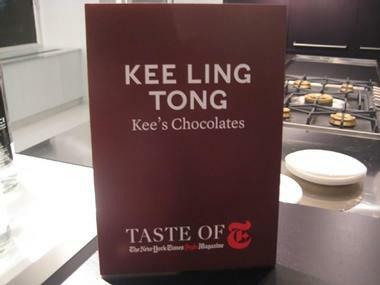 There are few things that can pull Kee Ling Tong away from her chocolate shop. Originally opened in 2002, this popular New York chocolatier started when Kee left her corporate job to pursue her passion for fine cacao-based treats. All week long, Kee can be found at her shop whipping up fresh chocolates for the day and experimenting with new flavors to stay seasonal and provide new tastes for her regulars to delight in. Try any of her dozens of offerings and find your favorite amongst them all. Some flavors to try out if you’re new to Kee’s Chocolates include the Black Rose, champagne, crystalized almond, lavender smoked salt, and Thai chili. Don’t forget to try her delectable macarons as well! As verified chocolate experts, L.A. Burdick has been in the business of handmade chocolates since 1987. Headed by Larry Burdick, all of the chocolates at this shop are inspired by Burdick’s travels to France and then Switzerland. The result? Silky and incredibly luxurious chocolate truffles with an incredible array of variations and flavors to choose from. The chocolate bonbons that L.A. Burdick are so well known for are all cut and shaped by hand every day with a spectacularly unique chocolate ganache found in the center of these sumptuous treats. You really can’t go wrong with their extensive menu of bonbons, but some of the most popular in the bunch are definitely their traditional caramel variations such as salted caramel, dark traditional caramel, white traditional caramel and milk salted caramel. There is one clear goal in mind when it comes to La Maison Du Chocolat: To find the perfect nuance in chocolate to unleash the perfect balance of taste upon the taster’s palate. From the first bite to the last morsel of their sweet creations, La Maison’s chocolates bring forth a subtlety that underscores the entire experience of eating this chocolatier’s offerings. Try iconic offerings of truffles, pralines, and ganache from available boxes like the Coffret Maison Assorted Box or take-home bars like the Kuruba Cooking Bar, Marao Bar, or Akosombo Bar to add another depth of flavor to your cooking (or to snack on!). Headed by Eric Girerd, L’atelier Du Chocolat takes a selection of the finest available ingredients and uses artisan techniques to create some of New York’s most delectable chocolate treats imaginable. Classified as haute couture chocolate, the creations at L’atelier Du Chocolat use up to 72% cocoa beans, which means that each morsel of chocolatey goodness packs a punch of complex flavor. Apart from being absolutely to-die-for delicious, L’atelier’s chocolates are also exceptionally artistic with eye-catching designs adorning the top of their bonbons, truffles, and ganache. Try their Amour Mois Collection, their La Vert Collection, or the Boite de Passion: Stone Street collection to start and discover which is your personal favorite. According to owner and chocolatier Mariebel Lieberman, life is all about the pleasure and happiness we find in food, art, and beauty. We couldn’t agree more, especially when it comes to the pleasure that patrons derive from her exceptionally crafted chocolate offerings. 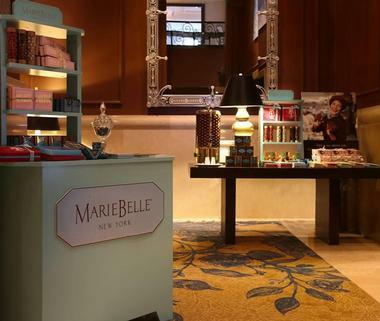 MarieBelle is home to all the chocolate you could ever want or desire. The store even has a cacao market inside, where you can explore all that they have to offer. From MarieBelle’s signature artisanal ganache to their incomparable Aztec Hot Chocolate, a visit to MarieBelle delivers decadence in every morsel. Don’t have time to stop by the shop? You don’t have to worry because they deliver too! Are you ready to get addicted to some incredible chocolate? If yes, then it’s time to make a reservation at Max Brenner Chocolate Bar. Visitors to Max Brenner can indulge in ultra-decadent pastries, fantastically creamy fondues, and luxuriously thick milkshakes. 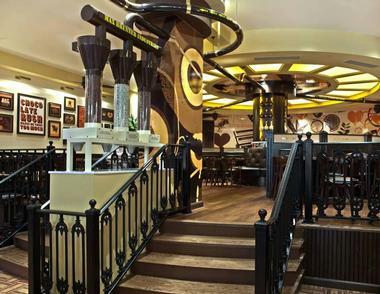 However, at Max Brenner Chocolate Bar, they believe that their business is more than just about the taste of chocolate. It’s also about romance and sensuality, sharing and celebration and, most importantly, indulgence. So, when you come to Max Brenner, leave your diet at the door and throw yourself head-first into the chocolatey fray of Max Brenner’s concoctions. Take your pick between humongous chocolate bars, vibrantly colorful bonbons, caramelized nuts, crispy wafers, and chocolate thins. A small and unassuming chocolate shop in the center of New York City, Myzel Chocolates creates sinfully delicious dessert offerings thanks to their background as traditional European chocolatiers. While their chocolates and truffles are definitely to-die-for, patrons flock to Myzel Chocolates for one thing in particular: Their ultimate chocolate cookie. 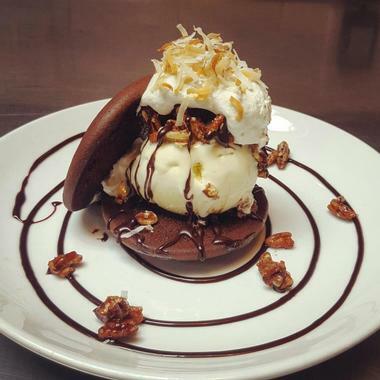 We’re not exaggerating when we tell you that it is the best cookie you will ever find in New York City. Each cookie is handmade and baked to perfection in their little chocolate shop and is available with or without a robe of chocolate. Once you’re done sampling their epic cookie, dive in for tastes of their assorted hand-made truffles and an array of classic chocolates. Trust us, they won’t disappoint. When it comes to excellent Belgian Chocolate, few can compare to the magnificence, artistry, and flavor of Neuhaus Chocolate. Since 1857, Neuhaus Chocolate has been practicing their fine art of Belgian craftsmanship, making their iconic and irresistible sweets by hand to this day. Apart from their spectacular craftsmanship, Neuhaus Chocolate is also committed to remaining authentically Belgian and maintaining their use of exclusively non-GMO ingredients. While Neuhaus certainly has a huge spread of staples that patrons return for over and over again, something that we urge every chocolate lover to look forward to are their seasonal creations. 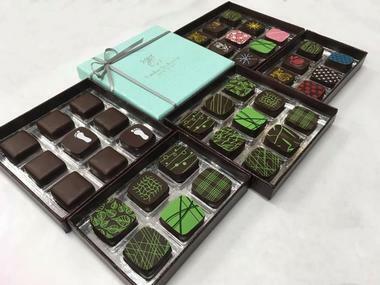 For example, the summer season typically sees handcrafted summer edition chocolates like yuzu, passion fruit, and pineapple infused chocolate ganache bites. 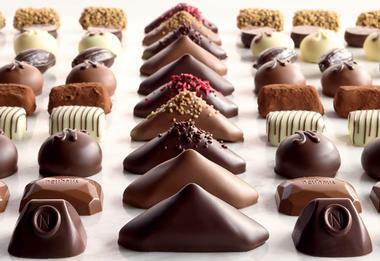 True savants of the chocolate world, Nunu Chocolates started as a chocolate making exhibit in Paris within the Marais’ Brachfield Gallery. Although they love the luxurious taste of chocolates and are keen to show it off, Nunu Chocolates believes in fully showcasing the artistry that goes into making the sweet and delicious finished product. Visitors can come to Nunu’s and see the making of chocolates happen first hand. Apart from tasting their treats, patrons can try wine and chocolate pairings, smell the chocolate as it comes together, and more. The Booze Box is a particular bestseller amongst adults as their ganache is infused with alcohols like rye, Amarula, sake, and more. 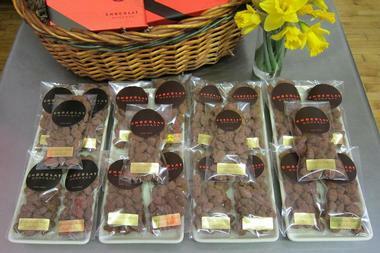 The Ganache Assortment is equally popular, as is their Caramel Blend Assortment. Strong, wild, playful, different – these are all perfect words to use when describing Raaka Chocolate. This brand of virgin chocolate is made by unserious people who take their chocolate uncharacteristically seriously, and who are committed to giving the world access to creative treats that showcase the wilder side of cacao. 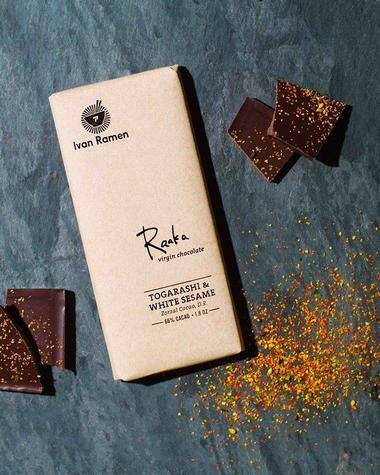 Amidst it all, Raaka’s team is still able to maintain a chocolate making process that is not only environmentally conscientious but also socially responsible. Must-try offerings from Raaka’s repertoire include their ginger snap 70% cacao, the bourbon cask aged 82% cacao, and the vanilla rooibos tea 67% dark chocolate. The pink sea salt and coconut milk virgin chocolates are also definitely worth a taste. Really, really good chocolate can definitely be found at Royce’. 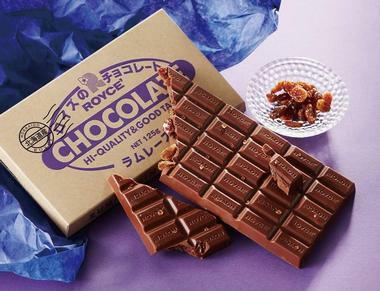 Founded in Sapporo, Japan, in 1983, Royce’ uses world-class techniques to enrich the world’s experience of top of the line chocolates. Today, Royce’ is a leviathan in the world of chocolatiers. So popular is Royce’, in fact, that there’s even a theme park in Hokkaido dedicated to its whimsical chocolatey creations. Their rich and smooth blend of milk chocolate and fresh cream come together to make their most popular offering, Nama Chocolate, which is also available in a semi-sweet version, a champagne-infused version, as well as white chocolate and maccha-infused versions. Creating small batches of chocolate in outlandishly big flavors, Stick With Me is a boutique chocolate shop that has taken New York by storm. In fact, Stick With Me has created so much buzz in the Big Apple that they’ve even landed features in popular press publications like The New York Times, Forbes, Vanity Fair, GQ, The Oprah Magazine, Gotham, and Harper’s Bazaar. 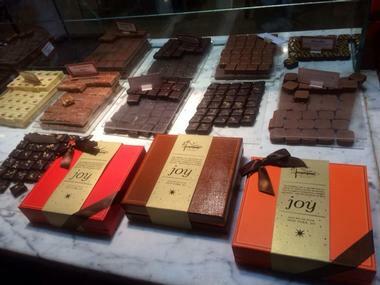 Each box of chocolates at this shop is specially crafted to tell a magnificent story. Every small batch of chocolates is made by hand and with utmost care, which is exactly why every piece is a treat to the eyes and the taste buds. 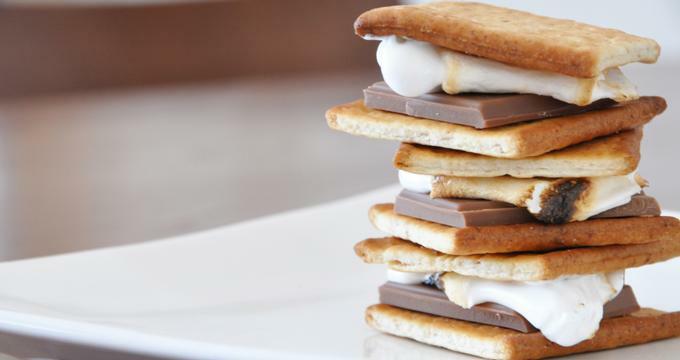 There is also an incredible delicateness to every chocolatey morsel, which will leave you craving for more. 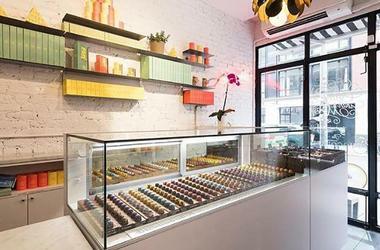 Looking for fantastic handmade artisan chocolate in New York City? 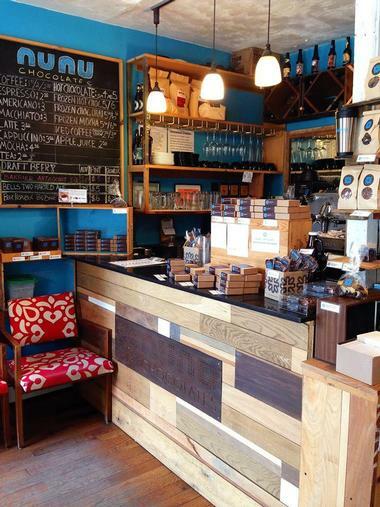 Pay a visit to Tache Artisan Chocolate, the pride and joy of pastry chef Aditi Malhotra. Taking inspiration from all over the world, and especially her Indian background, Aditi’s glorious creations have taken the confectionary world by storm. They’ve even earned her a spot on Forbes’ 30 under 30 Game Changers in the food and wine industry. Amongst her many bestsellers, visitors really ought to give her boozy bon bons a try as well her chipotle truffle, Tache’s signature truffles, and the champagne truffle. If you’ve got more room in your belly for additional sweets, the chocolate-covered choco pops are also an incredible treat. Located in the historic Lower East Side of the bustling city of New York, The Sweet Life is a popular gourmet candy and chocolate shop known for their handcrafted offerings. The shop was opened in 1982 and was inspired by the owner’s many travels across the world. Amongst all of the great treats that the owners were able to feast on abroad, however, nothing captured their hearts more than chocolates did. Today, the chocolate shop draws inspiration for new chocolates from the artistic and creative neighborhood that it calls home. Some treats visitors may want to try include the dark chocolate pistachio marzipan, the milk chocolate s’mores bar, their handcrafted sea salt caramels, and their malt balls, among many others. A trip to Varsano’s in New York’s Greenwich Village is bound to bring a bout of euphoria for all those who visit. 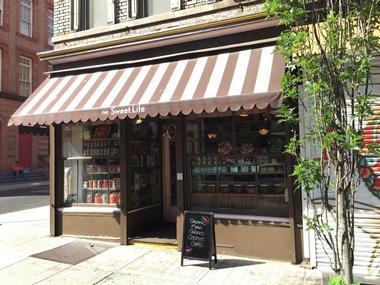 There’s no denying that this chocolate shop in particular is a favorite for all those who call the Greenwich Village home, but what is it that has people coming back for more? 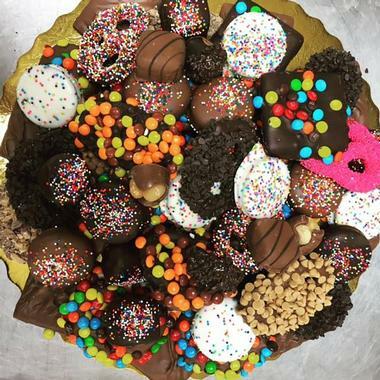 Varsano’s specializes in home-made and hand-dipped chocolates as well as other crowd pleasers like caramels, fruit centers, nut patties, and truffles. For fans of Varsano’s who don’t have the luxury of visiting the shop often, the shop delivers and ships their goodies everywhere and even have same-day delivery services to Manhattan residents. Kreuther Handcrafted Chocolate, Photo: Kreuther Handcrafted Chocolate.